Copenhagen Fashion Summit, a global business event on sustainability in fashion, has unveiled the program for the sixth edition beginning May 15. 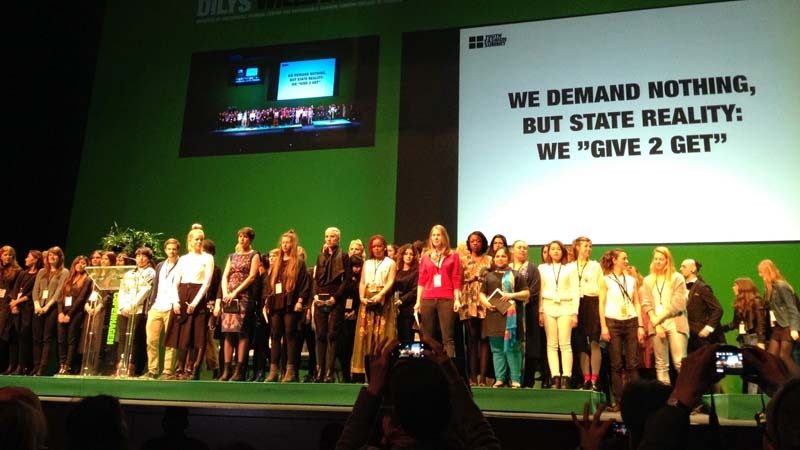 The program for this year's Copenhagen Fashion Summit is guided by the CEO Agenda that defines the top seven sustainability priorities for fashion industry executives to take action on, according to organizers. The multi-stakeholder event will host more than 75 speakers from the fashion industry, politics, NGOs and academia among others. Speakers include fashion designer and sustainable fashion pioneer Stella McCartney, sustainability leaders William McDonough of McDonough Innovation and David Roberts of Singularity University, sustainability pioneer Dame Ellen MacArthur; CEO Spencer Fung of Li & Fung, COO Eric Sprunk of Nike; the founders of Vestiaire Collective, Fashion Revolution, High Snobiety and many more. "I am beyond excited to reveal this year's summit programme. It is not only filled with incredibly inspiring speakers, but the breadth of discussion topics ranging from robots to China to #metoo makes the full experience this year extra dynamic and diverse," Eva Kruse, CEO and president of Global Fashion Agenda, which organises the summit, said. The summit will present a thought-provoking line of topics to be addressed in keynotes, sessions and panel discussions. Among these are 'Don't mention the S-word', a panel discussion challenging that sustainable fashion may be necessary, but it's still not cool. High Snobiety founder David Fischer, Stüssy CEO David Sinatra, Noah designer Brendon Babenzien and Alyx creative director Matthew Williams will take part in the discussion. Among the other summit topics are 'The robots are coming', a discussion on what impact a robot revolution will have on the industry's sustainability performance; an ethical discussion on 'The well-being of models in a #metoo economy' featuring, among others, model Edie Campbell and casting director James Scully. A discussion on how the fashion industry can make sustainability less complex for consumers to grasp is titled 'How do we talk about sustainability outside this room?' and features Tonne Goodman of Vogue US, former model, now actress and entrepreneur Lily Cole, Amber Valletta and Tim Blanks. The six fashion corporations that are Global Fashion Agenda strategic partners will also go on stage to address why sustainability should be a leadership priority and to discuss some of the recommendations from the 2018 Pulse of the Fashion Industry report, which will be released the week prior to the summit. The speakers represent Kering, H&M, Target, Li & Fung, Bestseller and Sustainable Apparel Coalition.